Governing multi-level education systems requires governance models that balance responsiveness to local diversity with the ability to ensure national objectives. This delicate equilibrium is difficult to achieve given the complexity of many education systems. 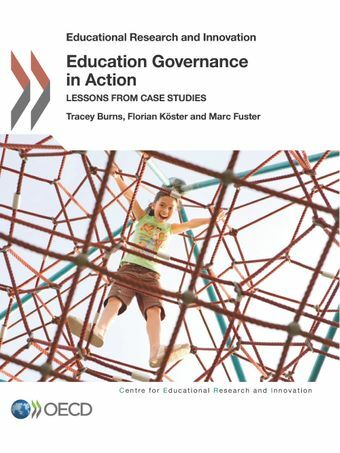 Countries are therefore increasingly looking for examples of good practice and models of effective modern governance that they can adapt to their own needs.Education Governance in Action: Lessons from Case Studies bridges theory and practice by connecting major themes in education governance to real-life reform efforts in a variety of countries. It builds upon in-depth case studies of education reform efforts in Flanders (Belgium), Germany, the Netherlands, Norway, Poland and Sweden. The case studies are complemented by country examples of efforts to restore and sustain trust in their education systems. Together they provide a rich illustration of modern governance challenges - and successes.The volume highlights the importance of the interdependence between knowledge and governance and focuses on essential components for modern education governance: accountability, capacity building and strategic thinking. It sets the agenda for thinking about the flexible and adaptive systems necessary for governing education in today's complex world. This publication will be of interest to policy makers, education leaders, teachers, the education research community and all those interested in education governance and complexity.